Last April, Mystic Brewery founder Bryan Greenhagen did something he’d never done before at his Chelsea brewery: brew a batch of beer from start to finish. Mystic opened to the public in 2013, offering patrons a modest tap room in one corner of a massive warehouse space. Up until that point, Mystic didn’t have its own brewhouse, the apparatus used to turn raw ingredients into beer. Beer was aged in the back, in square wine fermenters and in barrels, but Greenhagen brewed it all elsewhere, trucking it across the state. The purchase of brewing equipment (in a joint deal with Cambridge Brewing Company) from Vermont’s Hill Farmstead Brewery solved the problem. The equipment allows Mystic to brew new beers. Mystic specializes in Belgian-inspired saisons, a style in which the yeast is the star, imparting dry, fruity flavors to the beer. It’s a style Greenhagen likes, though not one he’s intentionally limited himself to. Mystic is now experimenting with sour beers, double IPAs, and anything else that requires more supervision and a delicate touch. 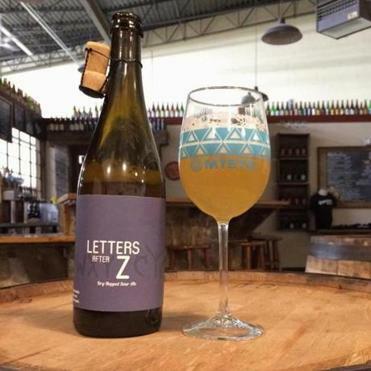 Last week, Greenhagen described a new sour beer, Letters After Z, that he’s especially excited about. “It’s sort of a style that’s evolving that’s strongly influenced by Berliner Weisses,” he says. In technical terms, Letters After Z is a kettle sour, intentionally spoiled by Lactobacillus and other bacteria, then boiled, right in the kettle, to keep things safe (bacteria can ruin beer) before being dry-hopped. At 3.6 percent alcohol by volume, Letters After Z is easily a session beer, with a flavor dictated by a kind of hops that’s just on the tip of Greenhagen’s tongue. The culprit is Ella, an Australian hop that has an “apricot, melon, and orange thing going on.” The beer smells new and old at the same time, funky fresh with an aroma of pineapple and mothballs. Each sip is complex, tart but not acidic, with a lingering breadiness from the saison yeast that fades like a sun slipping below the horizon.